Ingrid at work! 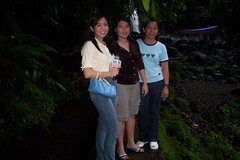 Behind me is the Majayjay falls of Liliw Laguna. Here are just a few of the pictures I taken from my travels. More to come soon.